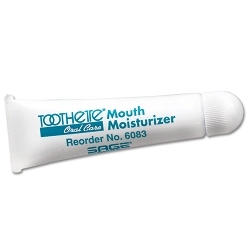 fluid in the mouth and prevent xerostomia (dry mouth) for better sleep and reduced oral discomfort. sipping water. The unit also allows the user to immediately pump additional fluid by simply pressing the Surge button. 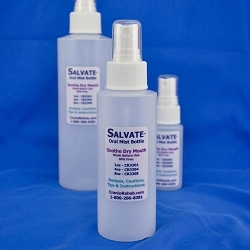 The Salvate Home Oral Hydration System works by pumping small amounts of liquid into the mouth at user-set intervals. The system draws water from an attached bottle and pumps it to a foam mouthpiece placed in the cheek or under the tongue. 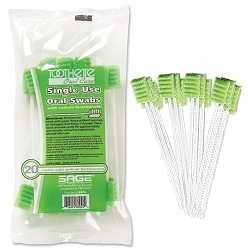 The foam holds the tubing in place and stores liquid that the user can squeeze out when needed.